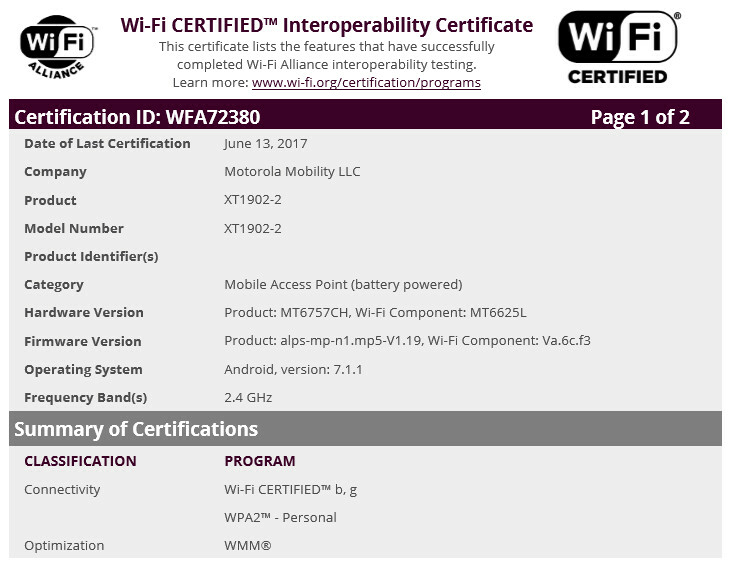 Moto M2 (XT1902-02) receives its Wi-Fi certification? Just the other day, we told you that a version of the Motorola Moto M sequel (XT1902-03) had surfaced on Geekbench, revealing some of the specs for the upcoming handset. The Moto M2 variant found on the benchmark site was tested with the MediaTek MT6797 chipset under the hood. That includes a deca-core CPU and the Mali-T880 MP4 GPU clocked at 700MHz. It is possible that there is more than one version of the Moto M2 in light of the Wi-Fi certification that was discovered today for the XT1902-02. According to the Wi-Fi certification, the XT1902-02 features the MediaTek MT6757 SoC. This chipset comes with an octa-core CPU and the Mali-T880 GPU clocked at 900MHz. The documentation from the Wi-Fi Alliance mentions that the XT1902-02 will employ the MediaTek MT6625L Wi-Fi connectivity chip, running on the 2.4GHz band. It also revealed that the handset will have Android 7.1.1 pre-installed. 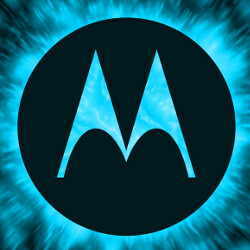 Just the other day, Motorola unveiled the Moto E4 and E4 Plus which joined other recently announced Moto branded phones like the Moto Z2 Play. In addition, the Moto Z2 and Moto Z2 Force are rumored to be announced on June 27th. With all of these introductions, we should see the Moto M2 somewhere in the mix with an introduction in the not too distant future..
MotoM was a budget phone. Not great,but not BAD. So the Moto M2 is just the next version of it. Wonder if this will be a VZW exclusive?